Grain Sack Stripe Queen Cover has a timeless design. 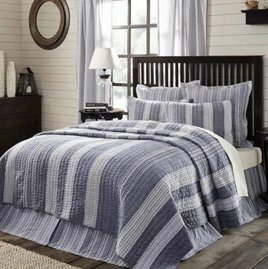 Bringing a touch of simplicity with a clean statement to any bedroom. This Grain Sack Bed Cover is made of cotton. Size is 90" x 94". 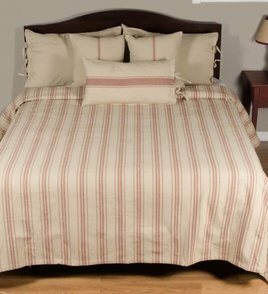 The Oatmeal & Barn Red Grain Sack Stripe Queen Cover has a timeless design. 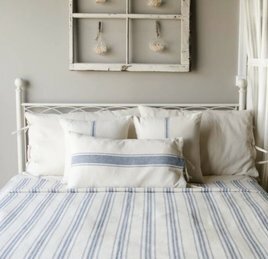 Bringing a touch of simplicity with a clean statement to any bedroom. This Grain Sack Bed Cover is made of cotton. Size is 90" x 94". 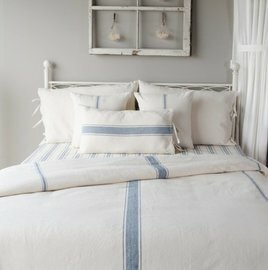 The Cape Cod Queen Quilt is made of chanel hand-quilting in a strip layout with various woven fabrics. Solid blue-grey chambray and seersucker striped fabrics add texture to alternating strips. Reverses to solid blue-grey cotton chambray fabric. 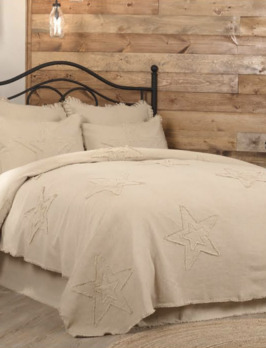 The Vintage Burlap Star Coverlet takes our wintery antique burlap and decorates it with fringed double stars. 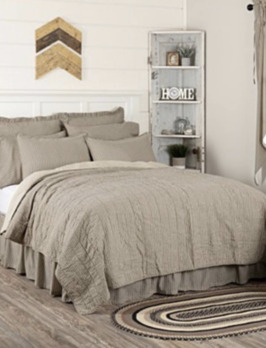 Our ultra soft burlap makes this coverlet perfect for cozying up to during the long winter nights! Reverses to solid antique color. 100% cotton. 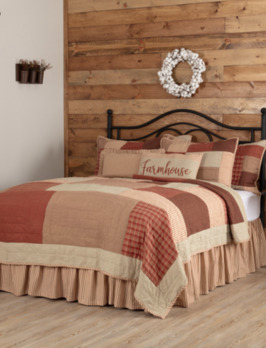 The Rory Schoolhouse Red Quilt brings cozy comfort & rustic charm. Features beautifully textured red & tan chambray with ticking stripes & plaid added to large patchwork blocks.. Reverses to red & tan ticking stripes to match the front. 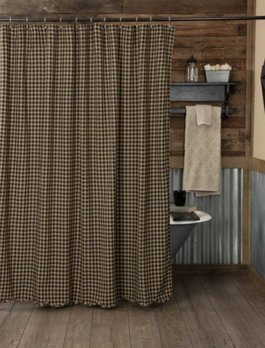 Wrap yourself in this comfy hand-quilted, stitch in the ditch Black Check Star Quilted Throw. 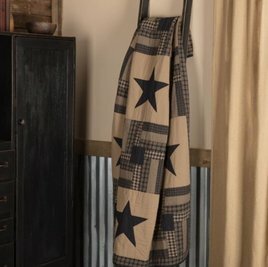 Features a check pattern, plaid, and solid cotton fabrics with 5-point star & confetti block patches accented with solid fabric boarder - reverses to solid.